Superficial temporal artery is one of the main arteries of the scalp. It supplies anterior and posterior quadrants of the scalp posterior part of the face, auricle, parotid gland etc. This artery commences as the smaller terminal branch of the external carotid artery. It is formed behind the neck of the mandible. It is formed within the parotid gland. It passes upwards and emerges from the superior surface of the parotid gland. It then crosses the root of the zygomatic arch. 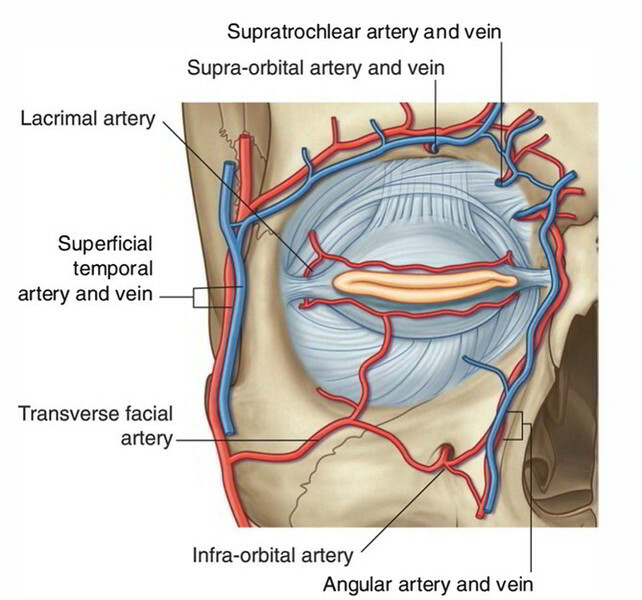 The artery then reaches the temporal region. The pulsation of the artery can be felt on the zygomatic arch. The artery becomes thickened and tortuous in elderly persons.